Provide comfort for the family of Carole Simmons with a meaningful gesture of sympathy. Carole Simmons, 76, of Johnstown, passed away on January 22, 2019 with family by her side in Greeley. Carole was born in Delong, Indiana to Edward & Lois (Sisk) Steenbergen on September 6, 1942. On June 10, 1961 in Bellflower, California, Carole married the love of her life, Ronald Simmons. She loved to craft, chase bargains at the Goodwill, and sing. Carole enjoyed traveling anywhere she could to camp with her husband and “The Girls”, and cherished the trips she had made with her daughter. She had a true love for all animals, especially her puppies, Pepper & Shadow who survived her. Carole’s real passion in life was helping anyone she came across who were in need. She also believed in giving anything extra to various charities, to include the Weld County Humane Society. 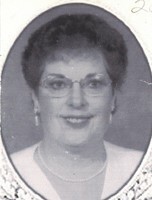 Carole is survived by her husband; children, Raymond (Linda) and Rhonda Simmons; grandchildren, Clinton (Michelle) Simmons, Amanda (Josh) Gesell, and Beau (Shelbi) Simmons; 5 great-grandchildren; siblings, Dennis (Bonnie) Steenbergen, Rodney (Lanae) Steenbergen, Laurinda (Mike) Tomlinson, Larry VanDusen; and a large loving extended family. She was preceded in death by her parents; brother, Edward Steenbergen Jr. ; and her puppy, Sugar. In lieu of flowers, donations may be made to the Weld County Humane Society or the American Heart Association, in care of Northern Colorado Crematory. To send flowers in memory of Carole Ann Simmons, please visit our Heartfelt Sympathies Store. Donations are being accepted for: HUMANE SOCIETY OF WELD COUNTY. We encourage you to share your most beloved memories of Carole here, so that the family and other loved ones can always see it. You can upload cherished photographs, or share your favorite stories, and can even comment on those shared by others. Provide comfort for the family of Carole Ann Simmons by sending flowers. Just wanted to say sorry for your loss. I wanted to share a comforting thought from the Bible, at Revelation 21:4 about a wonderful promise for the future. It says " and he (God) will wipe out every tear from their eyes, and death will be no more, neither will Mourning nor outcry or pain be any more. The former things have passed away." Just wanted to say sorry for your loss. I wanted to share a comforting thought from the Bible, at John 5:28,29 about a wonderful promise for the future. It says "do not be amazed at this,for the hour is coming In which all those in the memorial tombs will hear his voice and come out, those who did good things to a resurrection of life."